Is Energy Poverty the new buzzword or a real problem? 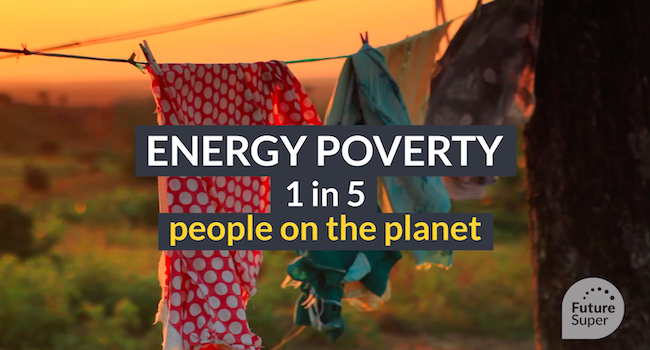 Energy poverty is both a national and global challenge impacting climate change prevention efforts and basic human survival - a problem that can only be solved by increasing awareness and demanding investment and focus on its solution. In the coming decades, the energy sector will face three significant transformations — climate change, security of supply (a current discussion point for our politicians), and energy poverty. The first two predicted transformations have been extensively analysed. But less attention has been paid to the third, even though it has a massive influence on the lives of millions, not just in developing countries, but also right here in Australia. It may be surprising to learn that energy poverty impacts ‘normal’ families as electricity and gas bills take upwards of 12 per cent of Australian household budgets. According to The Australian, this rate is increasing along with a rise in poor housing conditions. Over the past eight years, power disconnections have increased by 47 per cent in Australia. Nationwide this equates to 160,000 households cut off from gas and electricity, and at the same time, energy hardship support has decreased by 32 per cent. To make matters worse, we see stagnant wage growth and electricity prices increasing by 117 per cent over the past ten years; higher energy bills means people are sacrificing other expenses. An alarming number of adults and children are regularly going without a substantial daily meal because they can’t afford it. This is all happening, right here in Australia. A rich, well-developed country perceived with prosperity. If we take a broader look to the world, these facts are even more sobering. According to the World Health Organisation, indoor pollution causes an estimated 1.3 million deaths per annum in low-income countries, due to the use of biomass in inadequate cookstoves. Although energy poverty cannot be de-linked from the broader, more complex problem of poverty, global access to improved energy infrastructure would avoid its most serious consequences. Improved infrastructure could help to encourage development, including the creation of jobs, improved health and the production of goods to grow economic trade. Perhaps the most obvious benefit, people would not be limited to work, study, cook and complete the most basic activities, during daylight hours. According to the International Energy Agency, the cost of providing universal access to energy by 2030 would require an annual investment of $35 billion. Much less than the amount provided annually in subsidies to fossil fuels. Addressing the issue of energy poverty will not only be a great humanitarian act, but it would also positively contribute to our climate and environmental conservation goals. The European Union, who acknowledged this problem under the 2008 financial crisis were among the first in the world to take action on this issue. The EU believes that the main contributing factors to energy poverty are: low household income, fuel prices regulation, pollution and poor building energy efficiency. Challenges we know far too well here in Australia. But the connection of these factors to energy poverty on home soil seems stretched too many. Instead, we hear and talk about rising power prices and how our energy sector will be able to meet future demands. This conversation often leads to a poor excuse for why we have to keep using coal and gas to make 85% of our electricity in addition to building new coal power plants. Australia and other countries around the world should take some inspiration from what has been achieved and set by European governments. The European Portal for Energy Efficiency in Buildings states that national renovation strategies should include dedicated policies and measures for low-income households to tackle energy poverty. This is on top of increasing investment in renewable energy which is continually becoming a better investment option for countries. Efficiency, pricing, and ability to store and distribute renewable energy has long passed the costs of building and maintaining old energy sources like coal, gas, and oil. In Australia, we can add the creation of new jobs and energy export opportunities to the list of benefits of deploying more renewable energy. There are some great Australian initiatives currently raising awareness and fighting energy poverty, particularly in under-developed countries. 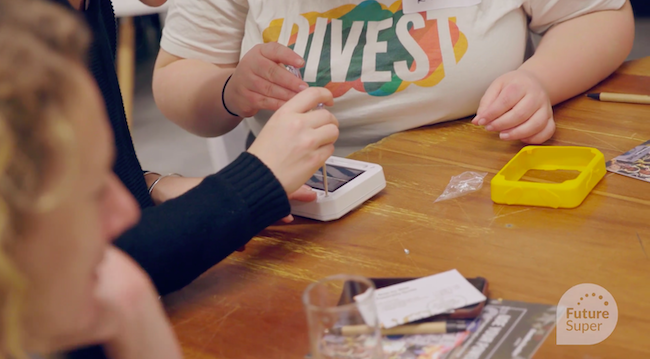 SolarBuddy, for example, provides innovative school education and corporate engagement programs. They are dedicated to educating and empowering the next generation to change the lives of children living in energy poverty. 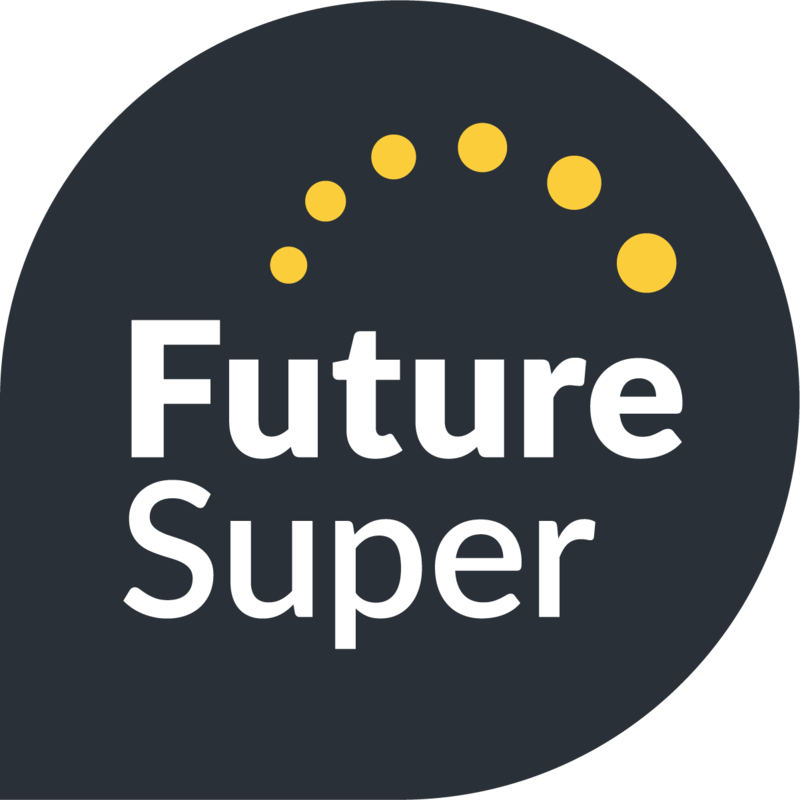 Future Super has partnered with SolarBuddy to help increase these efforts. Energy poverty is a global energy equity challenge; equity in the sense of evening the playing field for the opportunity to benefit from clean electricity across both developed and developing nations. We need to start with a complete shift to renewable energy. Improved housing standards will also help to prevent further deaths and displacement of people. Well developed countries, such as ours, need to lead the fight to preserve our planet for future generations as well as stand up for those facing energy poverty today.